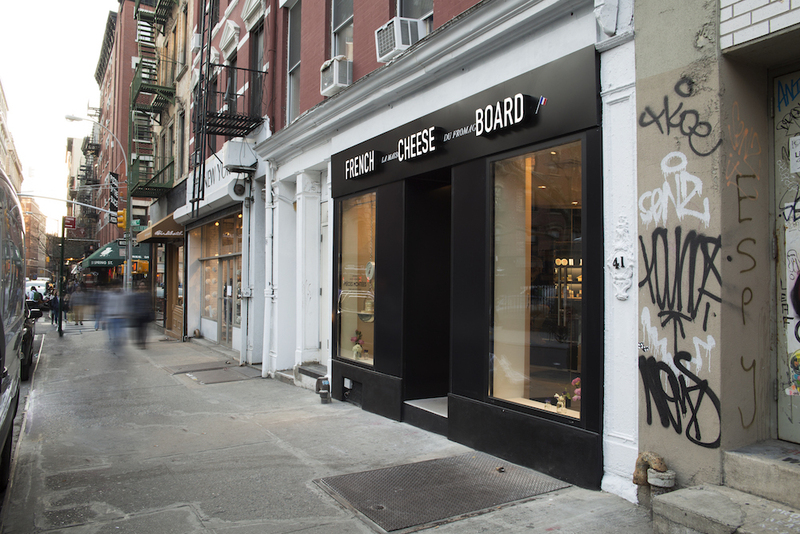 Nestled in the fashionable streets of SoHo, the French Cheese Board has become the quintessential favorite destination of the cheese lovers of New York, since its opening in the month of May, two years ago. 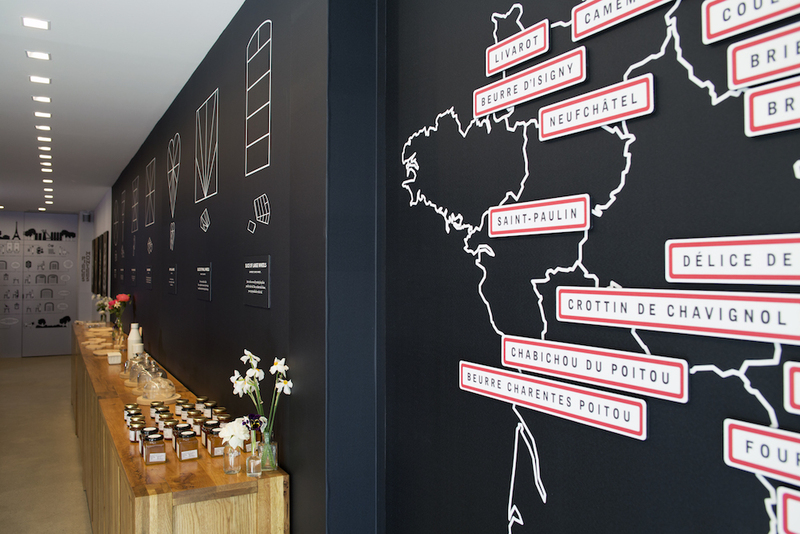 One of the most aesthetically pleasing concept stores you’ll come across in this city, French Cheese Board is not just a cheese store where you can test or buy a huge variety of French cheeses, but a one-of-its-kind juncture where food meets art, culture, and design. 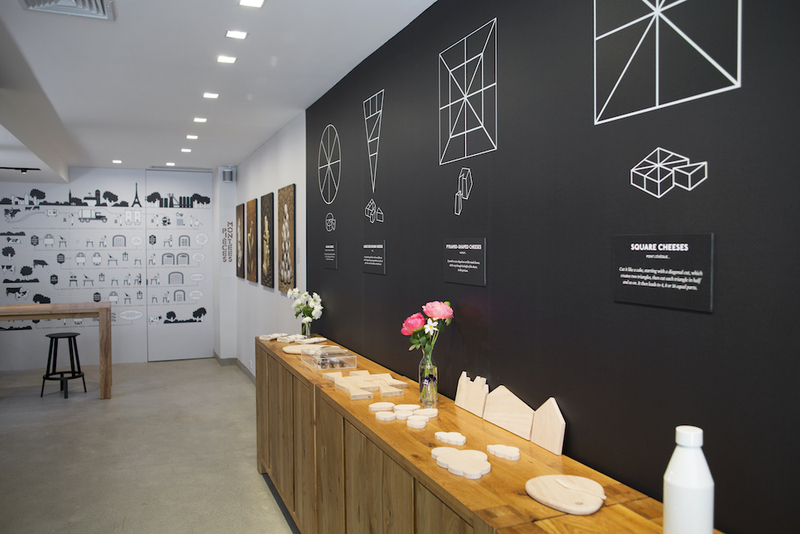 The designer duo of the store, French artists Ich&Kar made sure to execute their ideas in such a way that this space could become the flag bearer of what ‘French Cheese Culture’ truly stands for. 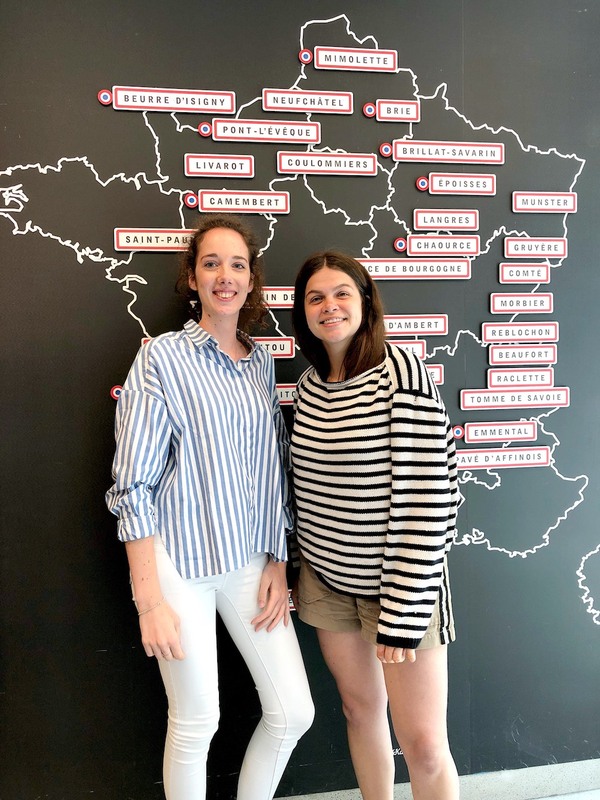 There, you can learn anything and everything about French cheeses, how they’re made, how to pair them with different kinds of wines and food, how to style a cheese platter and also, the underlying ethics and etiquettes associated with eating French cheeses, in the first place. This interactive store with magnetic walls to enable easy display switching, bespoke furniture, selective cookware and accessories and educative frescos were done in an exceedingly tasteful style provides the perfect platform where elegant events can take place. 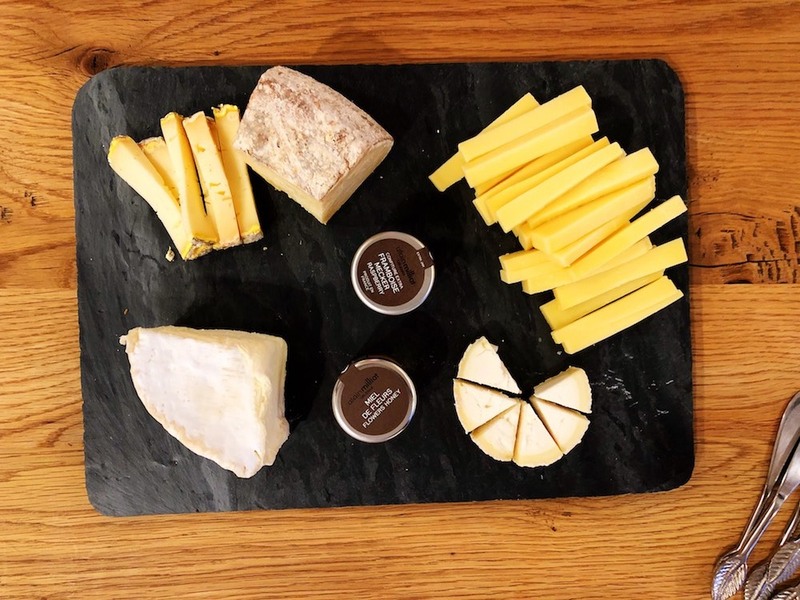 In the past, French Cheese Board has hosted an impressive collection of such events including cheese tasting/pairing evenings, recipe book launches, cooking workshops, exhibitions, Sunday brunches and interactive presentations. So, in its mission to provide a designated destination where cheese enthusiasts of all kinds, whether they are the chefs or the food bloggers, artists, designers, cheese makers or merely those of us who love to eat cheese with everything we put on our plates, could meet each other and learn from one another, French Cheese Board has been a great success. A huge magnetic wall art, a map of France with all the cheese making places neatly marked on it, greeted me at the entrance, marking my journey into this magical land of cheese. Since I visited on the Bastille Day (National Day of France), which was also the day before the Finale of the FIFA World Cup 2018 was to happen (that France qualified for and won as well!) the store was extra glittery and the people extra enthusiastic! We were welcomed by Adelaide Pacton, the Marketing, Retail & Events coordinator at the French Cheese Board. In order to make sure that my love story with French cheese turns out to be an epic saga, there was an assortment of cheese accessories and designer-wares including stylish cheese boards and platters, vintage cheese covers from the flea markets of France, imported jams, sauces, French butters and honeys and exclusive Ich&Kar tea towels. What I realized there is that the quality of cheeses, without question, is the best available in NYC. These cheeses are directly imported from French towns and cities, all the way to SoHo for customers to sample or purchase. 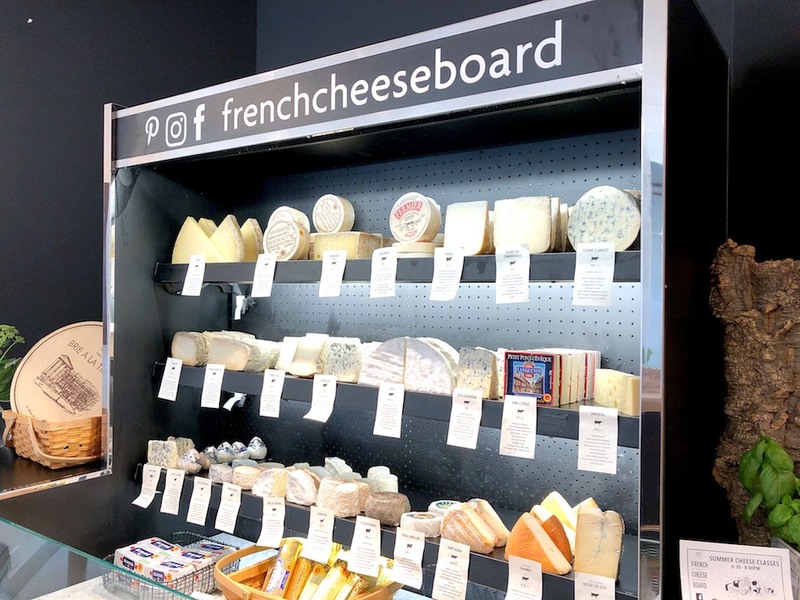 Customers may take home their favorite slices of French cheeses and prepare incredible recipes or sit by the mini-library, full of cheese literature and magazines while enjoying the free samples. Several varieties are showcased regularly rotated to always offer something new to customers. Either way, patrons will keep coming back again! According to a study, an average French man/woman consumes about half kg of cheese in a week. So, this means a French adult consumes approximately 26 kilos of cheese in the time span of a year. Out of approximately 1300, only about 40 types of cheeses in the world have been able to acquire the stamp of Appellation d’Origine Protégé (AOP), which is a French certification for excellent quality products, specially crafted only in certain parts of France using traditional cheese production methods. Nearly 10 pounds of milk get used up to craft one pound of cheese. Every year approximately 1.8 million tons of cheese is manufactured in France, and it’s needless to say that cheese is the principal export item of the country that brings home revenue of approximately 4 billion Euros on an annual basis. For more information, visit the French Cheese Board website.